Starting a church has both joys and challenges. One recent challenge, which also brought incredible joy to our congregation, was adopting a new name. 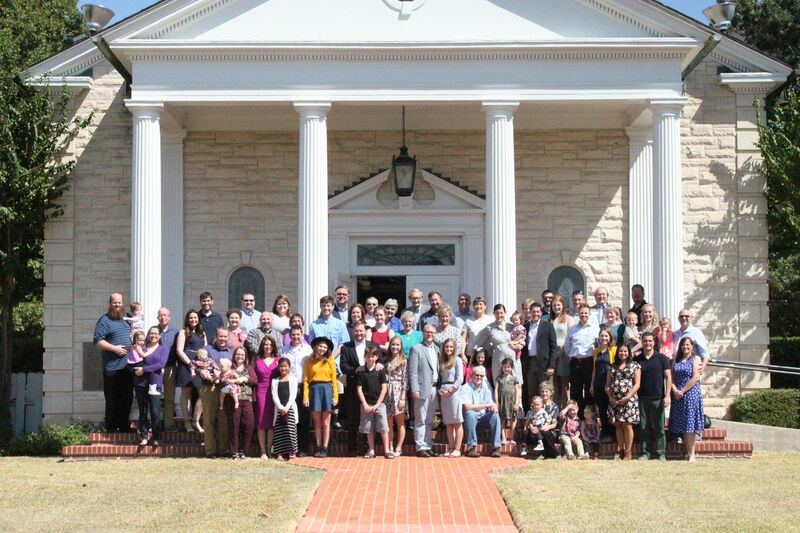 We launched our church in early 2013 with the name Grace Baptist Church. While we are a people who love the grace of God, and while we love being historical Baptists, we ran into a couple of problems in “branding” over the last few years. We finally arrived at the point where we were tired of constantly telling people what we were not; rather, we wanted to let people know who we were and what kind of people we wanted to be! The “Peace” points toward our contemplative nature, as well as conveying our desire to be a warm, safe and welcoming environment. The “Christ” points toward the Christ-centeredness of our church body. We want to be a “centered set” where all may freely come to drink from the Living Water, rather than a “bounded set,” resulting in keeping out some categories of people. The “Cooperative Baptist Fellowship” sub-name points toward the type of Baptists with whom we share commonalities in faith, mission and values. Our naming experience was lengthy, challenging and exhaustive, but created joy through a sense of ownership, collaboration and excitement among our people. If you ever decide to go through the process of changing your name, feel free to reach out to us. We’re part of CBF for many reasons, one of them being our desire to support others walking the same path as us. Kyle is a co-missioned CBF Church Starter, CBF Fellow, Chair of the Austin/San Marcos regional board for CBF TX and a BJC Fellow. He is a Ph.D. candidate in Leadership Studies at Dallas Baptist University and Lead Pastor of Peace of Christ Church in Round Rock, Texas. Follow Kyle on Twitter @kyleleetubbs and check out his CBF new church start @peacewilco. Great group of people . I was privileged to be the leader of the “pre-launch” team of this new church. So pleased to see how the congregation has taken ownership of their church and future. Love the new name. We’ve just gone through a similar process at Heritage Fellowship in Canton, GA and will soon use “A Cooperative Baptist Church” as our sub-name for the reasons you identify. Best of luck in Round Rock.